India is a practical mansion of religious heritage. Even despite of augmented westernization, people of nation the yet appear to be conservative toward religion. Itӳ a place where idol of stones are worshipped with full faith. This incredible faith remains alive till the end of their life & makes this diverse country a blend of every devotion & creed. Better known among devotees as a divine habitat rich in culture and inheritance & associated with abundance of mythological stories, North India is on wish list of every single pilgrim who visit over here from far and wide. Not even Indians but non-Indians seem also indulged in the colorful culture of country. 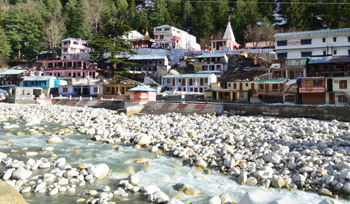 Better known among devotees as a divine habitat rich in culture and inheritance & associated with abundance of mythological stories, North India is on wish list of every single pilgrim who visit over here from far and wide. Not even Indians but non-Indians seem also indulged in the colorful culture of country. 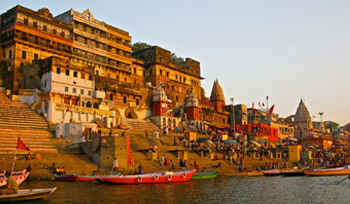 Allahabad, formerly known as ҐrayagҠis one of the most visiting pilgrimage destination of north India. 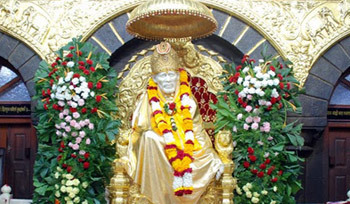 The city is bestowed with plenty of religious and spiritual centers. In order to avail the fun of its spirituality and ancient historical, cultural and religious values, one should visit to the temples of Allahabad that exhibit sacred feels of devotedness. 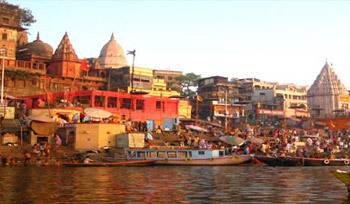 Look below the details of some most favorable attractions of Allahabad where pilgrims tend to stopover repeatedly. 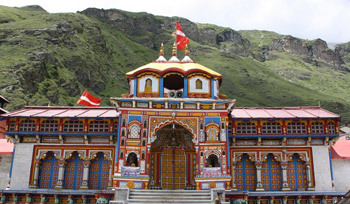 If you are someone fond of inspiring customs and splendid temples then Dwarka can surely match your enduring wishes. 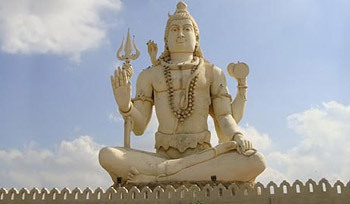 Located in the heart of Gujarat in the shore of the Arabian Sea, Dwarka is an apt location for every single individual who come here to grasp the fun of spiritual tour. 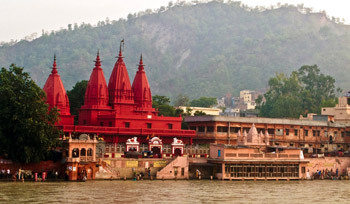 It is the same place where the mighty Lord Krishna is believed to have ruled the kingdom. 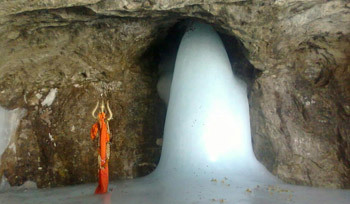 Especially for Hindus, Dwarka is supposed to be a favorable pilgrim destination. 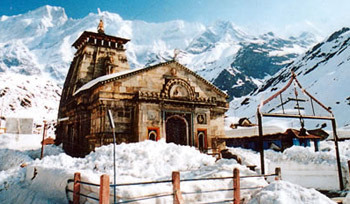 Sightseeing : Kedarnath Temple, Shankaracharya Samadhi, Vasuki Tal. 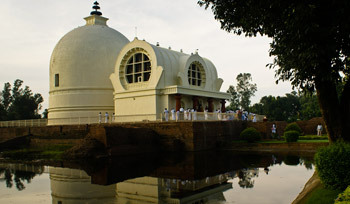 Kushinagar is one of the most favorable pilgrim destination of India that is visited by plenty of devotes throughout the year. Located in the Indian state of Uttar Pradesh, Kushinagar is a very popular destination due to the presence of Lord Buddhaӳ footsteps. This is the same place where great Buddha took his last breath and attained Nirvana. 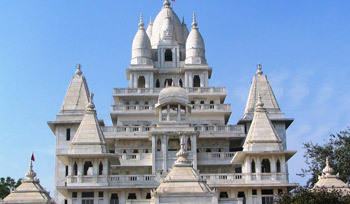 Palitana is a major pilgrimage center for Jains as well other religionӳ of people. A city located in the Bhavnagar district, Gujarat, India. You can see many pilgrims and devotees of different religion here throughout the year. 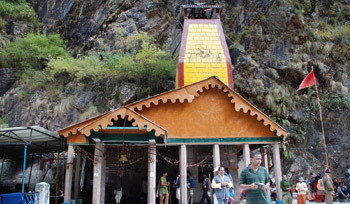 Many Jains believe that their spiritual leaders had attained the salvation here. 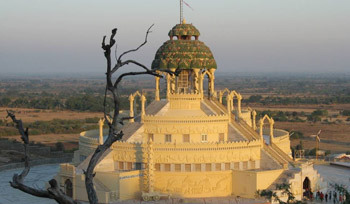 There is a beautiful hill in Palitana named as Shatrunjaya engages many grandiose temples. 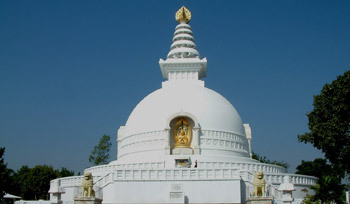 Rajgir or Rajagriha that literally means the house of kings is one of the most favorable tourist destinations of India. 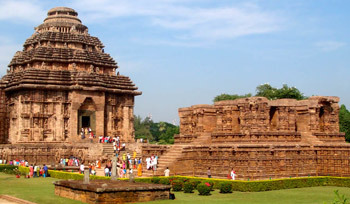 The city is located in the in the Nalanda district of the state of Bihar. Itӳ a prehistoric place, situated in a valley and surrounded by amazing rocky hummocks. The spot is blessed with the holy touch of Lord Buddha. It is believed that Buddha himself spends 12 years here in the city and delivered many sermons to the people in town of Rajgir. Who Discovered the Holy Cave? Maya Devi, the queen of Sakya family had an intuition that soon she would give birth to an extraordinary child, so left for her parentӳ home. 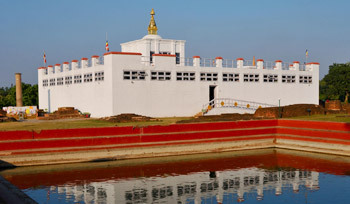 On her way, while she was taking rest in Lumbini grove, labor indications appeared and she gave birth to Prince Siddhartha. All celestial beings were overjoyed and great blessings saturated on every part of the world. Vrindavan IntroductionNestled on the banks of Yamuna River, the holy town of Vrindavan is situated in North Indian state of Uttar Pradesh. 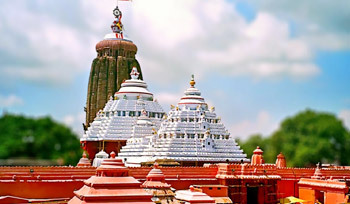 It is a sanctified place that jogs your memory about the mischievous tricks of Lord Krishna. 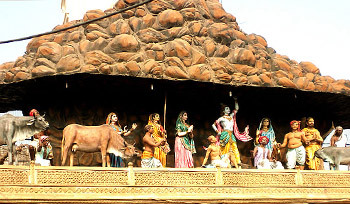 It is considered that Vrindavan is dotted with 5000 shrines. Famed for an extensive array of sacred holy places, Vrindavan is a hallowed place for Hindus and a great centre of learning.